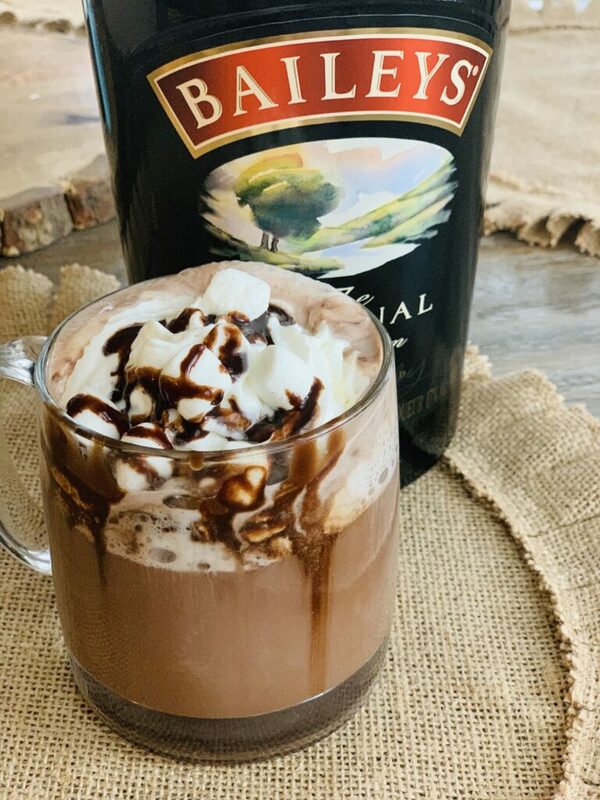 This rich and creamy Bailey’s Boozy Hot Cocoa takes hot chocolate to the next level! You’ll never want regular hot chocolate again! So, last week I posted my Simple Rumchata Hot Chocolate and you all LOVED it!! If you’ve tried it, you know why its a favorite of mine! So simple, creamy, rich, and delicious! 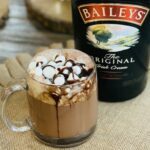 Well, another favorite of mine is this Bailey’s Hot Cocoa. I don’t know why I hadn’t shared this on the blog earlier, but here it is now! 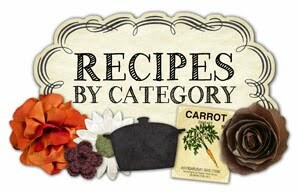 For the hot cocoa in this, you can either make it homemade (see recipe here, https://thecookinchicks.com/pop-pops-famous-hot-cocoa/) or take the shortcut (like I typically do, haha) and use hot cocoa packets from the store. This can be whipped up in under five minutes and if you like toppings, you can add some whipped cream, marshmallows, sprinkles, and chocolate syrup. However, this can be enjoyed as is, no toppings needed! This is one of those drinks that is perfect for cooler weather and especially for having friends/family over! Whip up a batch and put the toppings in bowls. Have a tasty hot cocoa bar for everyone to enjoy! Then, people can decide if they want theirs spiked and what toppings they want on top! Fun, right?! Be sure to let me know what you think of it if you try it and if you’re on Instagram, ( https://www.instagram.com/thecookinchicks/) use the hashtag #thecookinchicks so I can see your creations! Also, sign up for my free newsletter below to receive all my latest recipes delivered straight to your inbox! 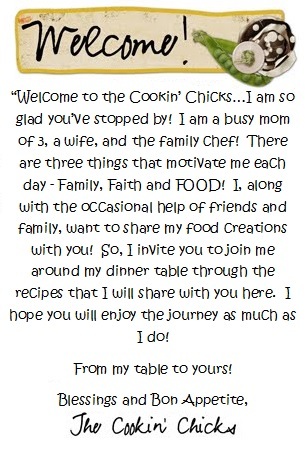 I have exclusive “newsletter only” recipes sent out, as well as fun prize giveaways!! You won’t want to miss it! Once you enter your email address, look for the confirmation email. Click to confirm and you’re all set! 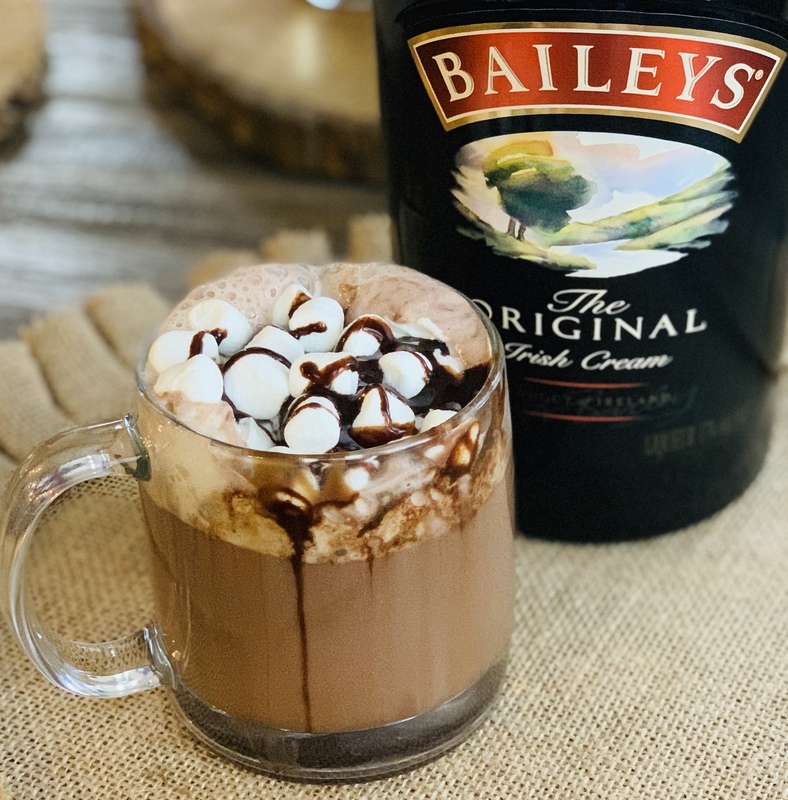 This rich and creamy Bailey's Boozy Hot Cocoa takes hot chocolate to the next level! You'll never want regular hot chocolate again! Prepare hot cocoa according to packet directions. Pour into mug and add desired toppings.